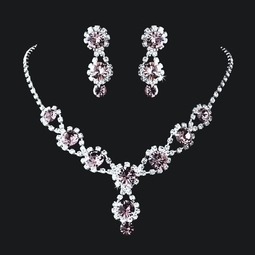 Description: gorgeous necklace with matching earrings featuring sparkling purple crystals and clear rhinestones. The rhinestone encrusted silver chain catches the light amethyst crystals and gracefully drapes each gem with a delicate elegance culminating in a subtle pendant hanging with two beautiful light amethyst crystals. 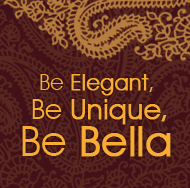 Size: Earrings: (Length) 1.25'', Necklace: (Length) 13.5'', (Extender) 4.25'', (Pendant) 1'' .